On the back of last year's acclaimed debut album ?Good Times' on mobilee records, Ray Okpara births another musical creation, this time from his home label AMA. 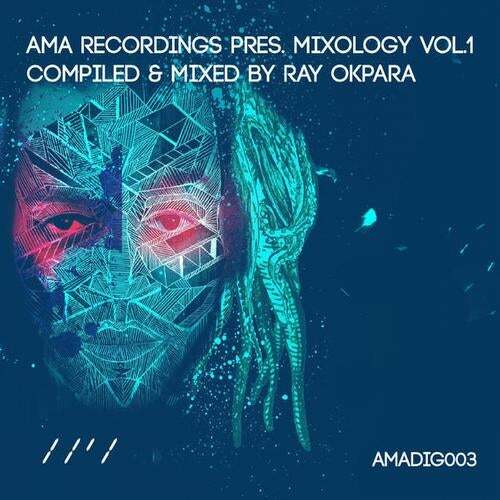 AMA Mixology Vol.1 sees the German born artist present twelve exclusive cuts handpicked from the label's exciting crop of talent and is presented in both mixed and unmixed formats. The label saw life in 2010, the name derived from Ray's middle name, Amaefule, which literally means ?your name will never get lost? and symbolizes the strength and identity the artist has always sought to create through music. AMA is also derived from the Latin meaning of love and the philosophy of the label has always been about sharing quality electronic music led by passion. Mixology Vol.1 continues Ray's commitment to maintaining true house values with the label's output, while exploring the breadth of quality the genre allows, exploring deep, jacking, minimal and dubby sonics, while always ensuring a hiplashing groove is at the core of each track.